Product Information - about 1.5cm x 3cm - Clip-on earrings that can be worn without pierced ears. - Delicate and elegant shape. - A new ear clip cushion has been replaced. - The origin is not indicated. 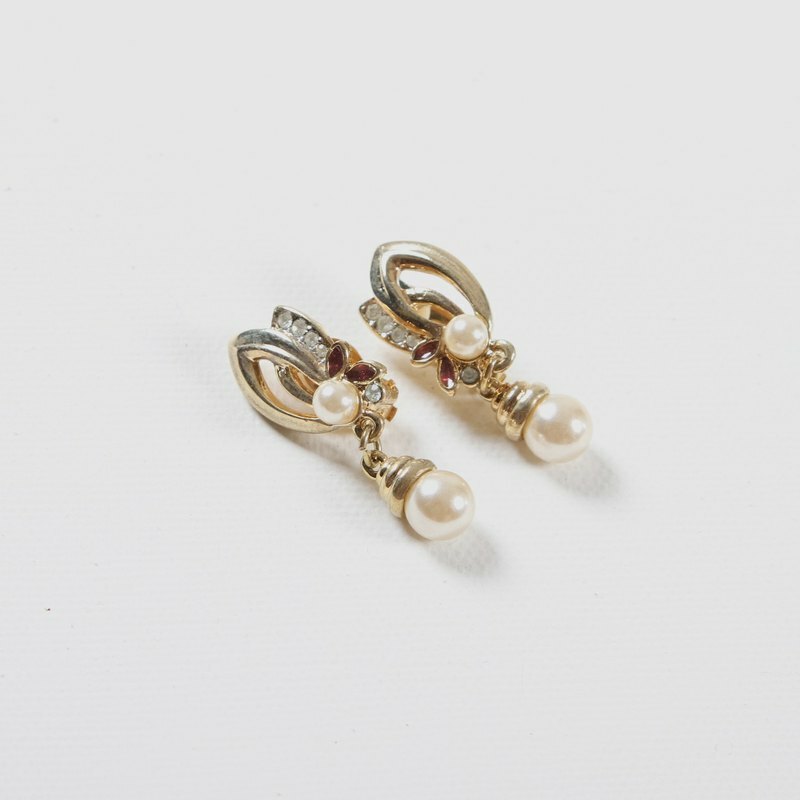 〖About earrings〗 Egg plant earrings are all antiques, not brand new. Each one has only one pair, and it is a long time. There are many traces of metal (hairline, slight rust, etc.). It is recommended to ask for information about the condition of the product. About size Product sizes are measured flat. It is recommended that you confirm the size before purchasing and reduce the size of the actual product. 〖About color difference〗 The screen color of each computer is different, there may be chromatic aberration problems, we have tried to minimize the color error, please ask us if you have any doubts.